Coming soon... the new kit..! Plus 8",13" toms & 8",10" concert toms. Tama 8" & 10" tympani toms. Ship's bell. Various cowbells. 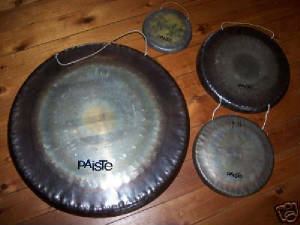 Vibraslap. Bar chimes. Tama Iron Cobra double pedal and Iron Cobra Velo Glide hihat pedal. Boom cymbal stands plus asst. Pearl h/w. Evans EC2 heads on toms (top) and bass drum batter. Evans EMAD on bass drum (front). Remo Ebony on toms (bottom), Ambassador coated on snare.Ambassadors on the Hayman kit. Keyboards: Jen SX1000/Fatar SL990 Pro with Vintage Keys module. 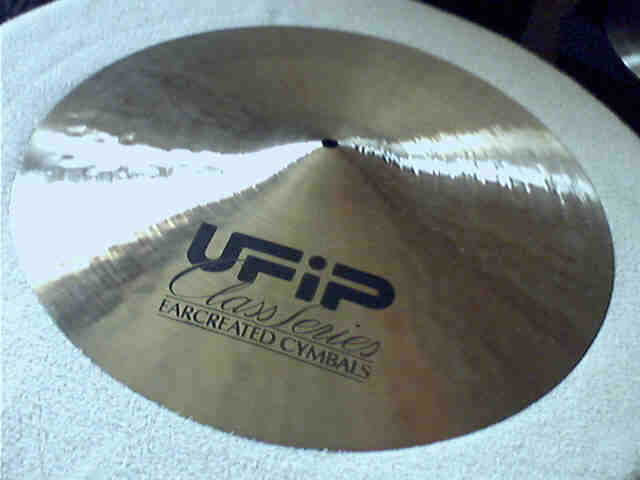 The 19" UFIP class crash - Click it for the UFIP site. 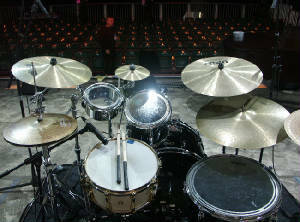 8" & 10" concert toms, 8", 10", 12", 14", 16" toms, 22" bass drum, 14" Dennis Chambers snare. 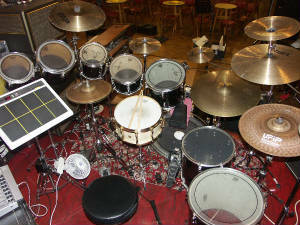 All the UFIPs and a Sabian 8" AA, 12" Wuhan china EFX, 20" Vibra ride. 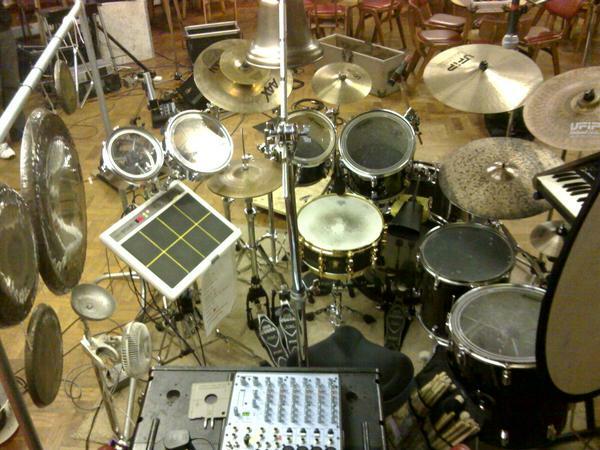 Plus Roland SPD pads and the alarm bell! 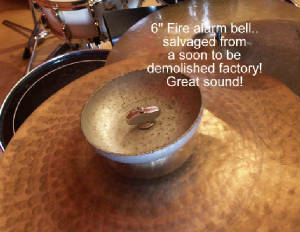 Also used are the gongs and more recently an analogue synth (Jen SX1000) for the 'Toccata' section of the drum solo. 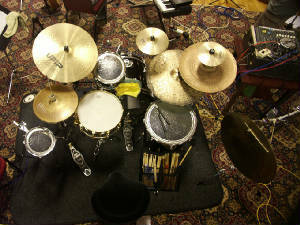 The kit for S4C TV show w/Ryland Teifi . MORICO Ltd. UK UFIP suppliers.